There is no doubt that the environmental challenges facing our earth are considerable, some would say insurmountable. Fortunately, recent developments in technology, such as blockchain/distributed ledger technology, have emerged to address these challenges and indeed have the potential to not only turn the tide but could also vastly improve prevailing circumstances. Through the innovative use of smart contracts the Wadappt platform brings investors and funders together in exciting, secure and simple new ways. Impact investors invest in companies that generate positive social and/or environmental impact. In this way ‘impact investors’ derive both financial as well as a positive impact return. This platform takes this idea one step further and enables ‘impact investors’ to invest directly into projects that have substantial environmental or social impact and derive a financial return on their investment. Donors throughout the world are being pushed to address the many pressing issues which are not being catered for by existing economic structures. Efforts are often uncoordinated and ineffective, resulting in donor funds being wasted and trust being broken. What is needed is an outcomes-based financing model. That means that donor funds are held in escrow within a smart contract and are only released once the outcome that the donor funds were intended for are achieved. By ensuring donor outcomes are achieved, trust can be reestablished which in turn will unlock substantially more funding for projects that deliver real impact. 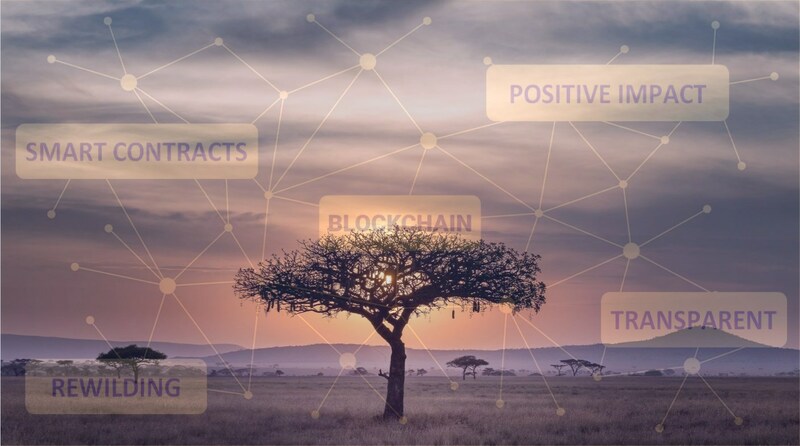 Smart contracts on the blockchain are used to create a framework in which impact investor and donor/philanthropic funds are brought and held together in such a way as to provide impact investors with returns on their investment and donors with guarantees that their funds will achieve the purpose that they were intended for. A win-win for both parties! 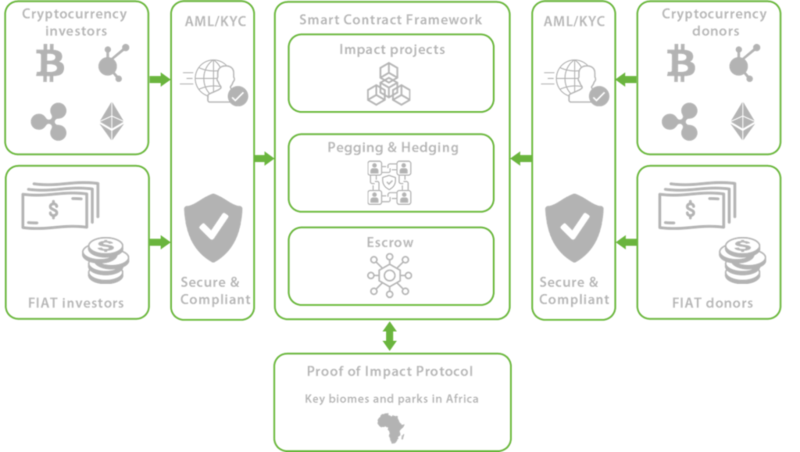 Successful completion of the project triggers smart contract processes that ensure impact investor capital is returned to them, with interest, and donor funding is only then allocated to the successful project, thus guaranteeing donors that their funds are used for the purpose that they were intended for. On successful completion of the impact project, investors are repaid with interest! Like any investment there is risk and return associated with it. The returns associated with each project are commensurate with the risk of the project. The investor returns are derived from the donors paying a premium for the fact that their outcome is guaranteed. If the project is not successful, it does not mean all is lost. Incremental returns are provided based on deliverables during the project.